I need YOUR help. Or maybe your suggestions are more what I am looking for. 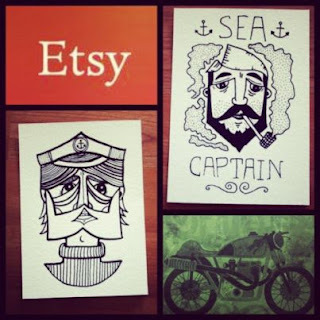 I have really been trying to help Ryan get his Etsy store up and running. We were able to get everything up online a couple weeks ago. Now the problem is getting it out in the world. I have put the link on my Facebook, I have created a Facebook page for his art, I have sent the link to friends and family members, etc. I know that if we get the word out there, that Ryan is BEYOND talented, and his pieces would sell like hot-cakes. I am just looking for thoughts on how to get the site (and his name) out there. Obviously, free ideas are best (I don’t want to spend $50,000 on a marketing campaign J ), but a few dollars here or there would be fine too.